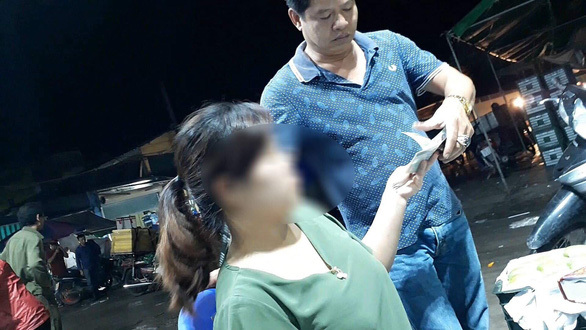 Police in Hanoi have captured and initiated legal proceedings against three suspects accused of collecting illegal ‘protection money’ from merchants at a local market after journalists reported having received death threats from members of the racket. 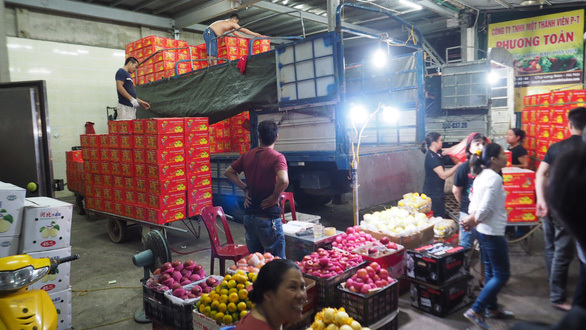 Duong Quoc Vuong, 50, Nguyen Manh Long, 56, and Le Thanh Hai, 55, all members of a porter team at Long Bien Market in Hanoi’s Ba Dinh District, were charged with the appropriation of property. The municipal People’s Procuracy approved a decision on Wednesday afternoon to take the three suspects into custody after a merchant at the market reported that the trio had forced sellers at the venue to pay ‘protection money’ worth hundreds of millions of dong (VND100 million = US$4,286). Merchants who refused to cooperate were stopped from loading and unloading their goods at the market. Regarding other fees at the facility, traders had to pay the suspects at a much higher rate compared to the original cost promulgated by managers of the venue. 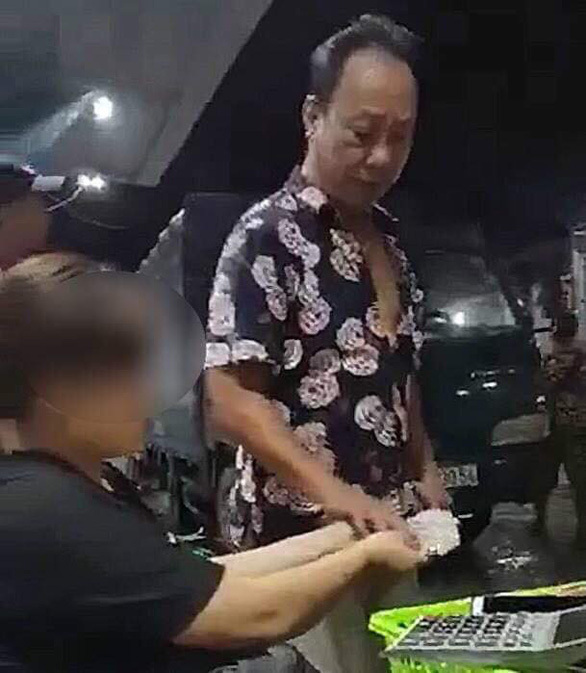 The illicit operation of a protection racket at Long Bien Market has long been an aching problem for merchants and the community in general. Duong Quoc Vuong collects 'protection money' in this video previously published by Vietnam Television (VTV). Two reporters from Vietnam Television (VTV) and Ho Chi Minh City-based Phu Nu (Women) newspaper previously went undercover to expose the unlawful activities for their respective media outlets. Police in Hanoi launched an investigation into the case following their reports. On December 2, both journalists received text messages from the same phone number threatening to kill their families if they continued to look into the racket. Vietnamese Prime Minister Nguyen Xuan Phuc on Wednesday requested the Ministry of Public Security probe and punish those behind the death threats. The ministry must direct its units to protect the reporters, as well as those who denounce these crimes, said PM Phuc. 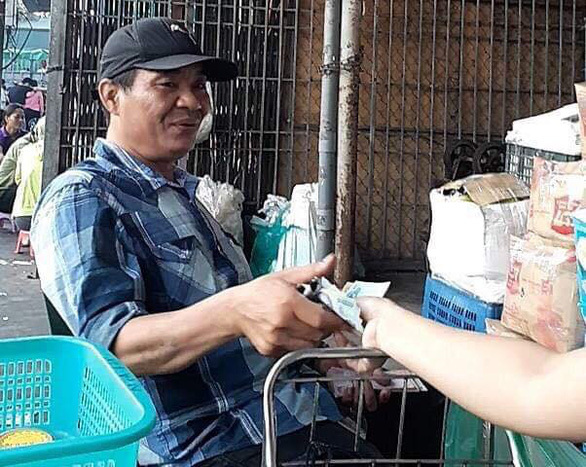 The premier also asked the Hanoi People’s Committee to submit a report of their efforts to deal with the protection racket at Long Bien Market prior to December 10.